Hello folks. We haven’t forgotten you and we hope you haven’t forgotten us. Yes, it’s been just over a month since our last podcast and we’re well aware we are due another one. We’re getting podcast withdrawal symptoms. I was found wandering the streets the other day, muttering to myself about monkey coconut abuse. Trev’s suffering from tweed withdrawal so badly he’s taken to wearing tweed pyjamas. We will do another. Honest. Promise. It’s just that Andrea, our lovely producer and instigator and mentor blah blah blah has only gone and got herself a proper job, and launched an album called Photograph, and just in general got on with her life rather than wasting it with a couple of daft-talking chancers. We plan to kidnap her. We will kidnap her, keep her locked up for months on end until she develops Stockholm Syndrome. The we will all move to Stockholm and do a podcast from there. At least that’s the plan (that I’ve just made up in the last few seconds of typing). Failing that we’ll wait until we’ve all got a free evening. This entry was posted on Monday, May 11th, 2009 at 10:44 am and is filed under Characters, Going Live, Live and Kicking, Podcast. You can follow any responses to this entry through the RSS 2.0 feed. You can leave a response, or trackback from your own site. First, no podcast. Second, the link to Andrea’s album is not working. Or possibly her website is not working, I’m not sure how these things work. But in any case, why are you TORMENTING me like this, with the endless teasing? retried link, but yes! I get big error sign. Will retry it when back at home at a computer i understand. Hopefully four first podcasts are all still working. Sorry for the torment. I am the teaser of the ringleader of the tormentors. Re: your photo. 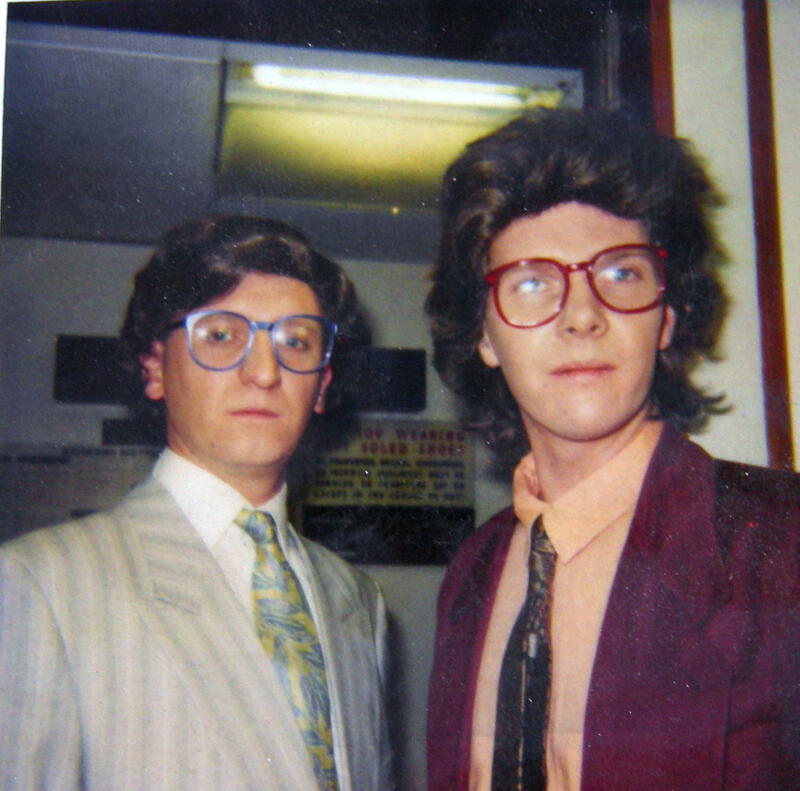 Were you auditioning for the Buggles? I am quite loving the photo. I wish my glasses were like that. I can update you all and tell you that the new episode will not be recorded in Stockholm, but Brockley. So I may develop Brockley Syndrome instead, which is the overwhelming urge to eat cruciferous vegetables. Trev – was it you I spied at Blythe Hill Fields’ Festival on Saturday? My friend won’t believe I actually saw the real “Trev-from-Trev-and-Simon”, so confirmation will save a petty dispute escalating into anything more serious. My friend’s such a durr. Yes Chris, Simon’s right – it was me – did you see my band, SUCKER? We’ll be back next year so I’m told. It’s THE festival to be seen at – better than Glasto. Chris, I will answer on Trev’s behalf. Yes, it was him.